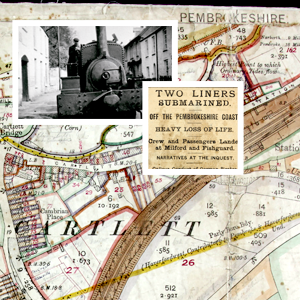 Start the journey of discovery into the history of your family, house, village, town and many other aspects of Pembrokeshires past. 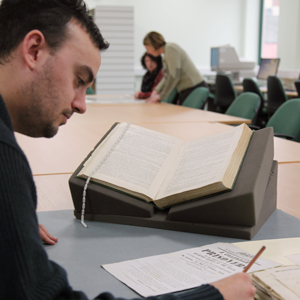 Explore the range of services available at Pembrokeshire Archives and Local Studies, and details about signing up for the Archive Wales Readers Ticket. Find out how you can get involved in preserving and making accessible the rich written history of Pembrokeshire.. Discover more about the Archives with our range of range of tours and talks for your society, school or group. 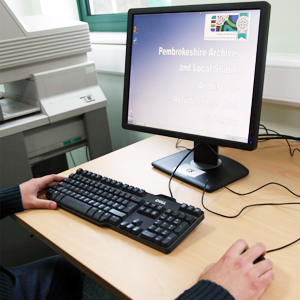 Find out about the free and paid for services available at Pembrokeshire Archives. 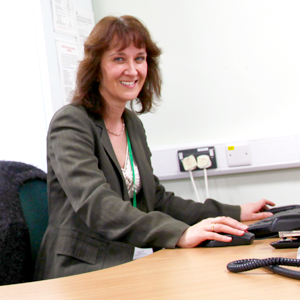 If you’re unable to visit in person, we can also do your research for you. 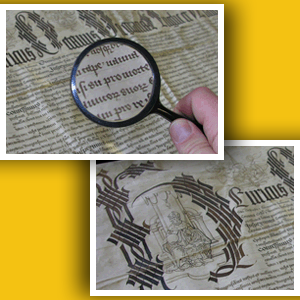 Search the listed collections of historical documents and images held at Pembrokeshire Archives via our online catalogue. Established in the 1960’s, the Archive and Local Studies Service seeks to preserve the county’s rich and varied documentary and pictorial heritage, balancing the need to preserve the past with the desire to promote people’s awareness of their cultural identity through the county’s history. 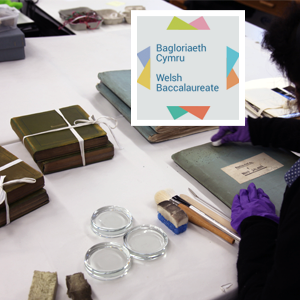 In March 2013, Pembrokeshire Archives opened in a new purpose built facility at Prendergast, Haverfordwest, including a Conservation Studio and Digitisation Suite.